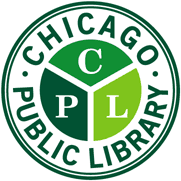 Learn how to use estate plans at the Estate Planning Workshop, 2:30 p.m. to 4 p.m. on Saturday, April 6, 2019, at the McKinley Park branch of the Chicago Public Library, 1915 W. 35th St., Chicago. Estate plans can be used to protect the elderly in the event of mental or physical disability and incapacitation. The workshop is presented by the Johann Chau Law Group.